When you configure a table in $TCA and add a field of the type "text" which is edited by a <textarea>, you can choose to use a Rich Text Editor (RTE) instead of the simple form field. A RTE enables the users to use visual formatting aids to create bold, italic, paragraphs, tables, etc. For full details about setting up a field to use a RTE, please refer to the chapter labeled 'special-configuration-options' in older versions of the TCA Reference. The short story is that it's enough to set the key enableRichtext to true. This works for FlexForms too. 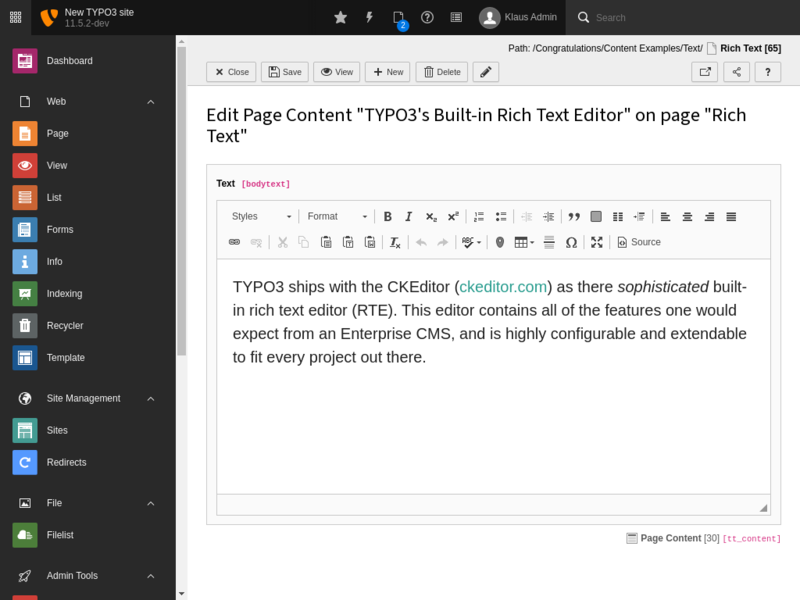 Don't forget to enable Rich Text Editor in the back end, in User Settings -> Edit and Advanced functions, check "Enable Rich Text Editor", if not already done.